The Tipo’s engine range is made up of two diesel engines; 1.3 and 1.6-litre units with 94bhp and 148lb ft, 118bhp and 236lb ft respectively, and three petrol engines, a 1.4-litre unit producing 94bhp and 92lb ft, and a 1.6-litre 108bhp engine with 150lb ft. A turbocharged 1.4-litre engine produces 118bhp and 152lb ft torque. A dual-clutch transmission is offered on the larger of the diesel engines, and a full auto ‘box is standard on the 1.6-litre, 108bhp petrol. 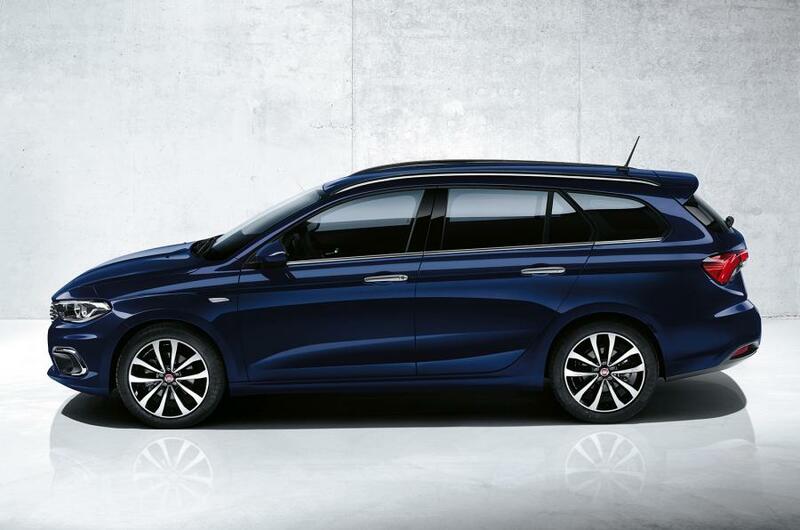 The entry-level Tipo has air-con, remote central locking, electric front windows – and rear windows in the estate – electric mirrors, a DAB radio and Bluetooth connectivity. Fiat has posted boot space of 420litres for the hatchback, and 520litres for the estate, but with the 60/40 split-folding rear seats of the estate folded down, maximum storage capacity will sharply rise. Fiat also claims that practicality is boosted by a low loading lip. The Tipo hatchback 4370mm long, 1790mm wide and 1500mm tall, compared to the Ford Focus’ 4360mm length, 1823 width and 1469 height. The Tipo estate, by comparison, is 200mm longer than the hatchback, at 4570mm. No official date or prices have yet been given for the Tipo hatchback or estate, but prices are expected to remain close to those of the Ford Focus and Focus estate, which start at £17,095 and £18,180 respectively. 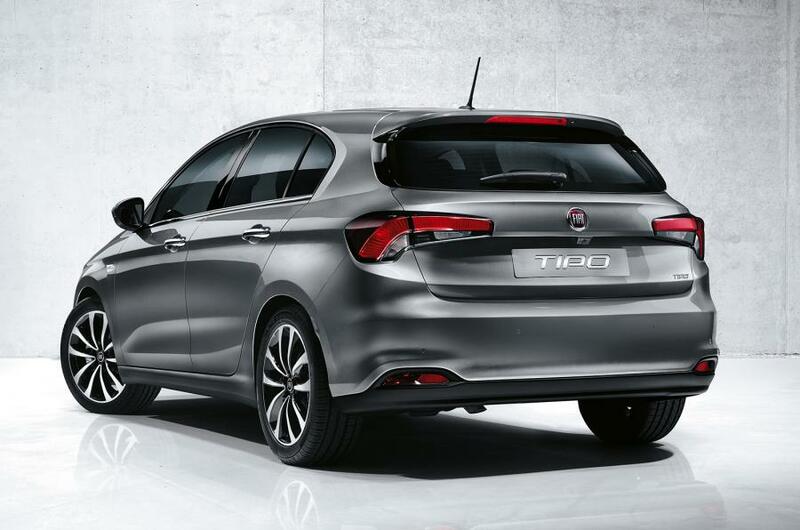 Fiat also revealed the Tipo saloon as part of the complete Tipo family, although it won’t be coming to the UK. ← New Transits to get more powerful and fuel efficient engines.